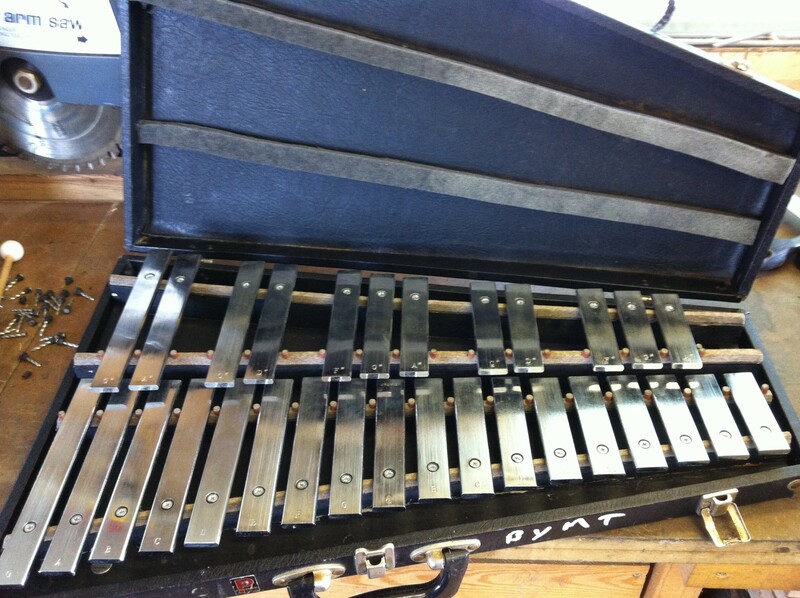 Note is made, instrument serviced – the note pegs replaced to fix notes to bed, and case repaired to hold notes in place during transport. What make and model of glock is this? And how much are they worth ish? Sorry Kieran, but I just never retain model numbers in my head, so I am not to be completely trusted, but I think it is a 6801. 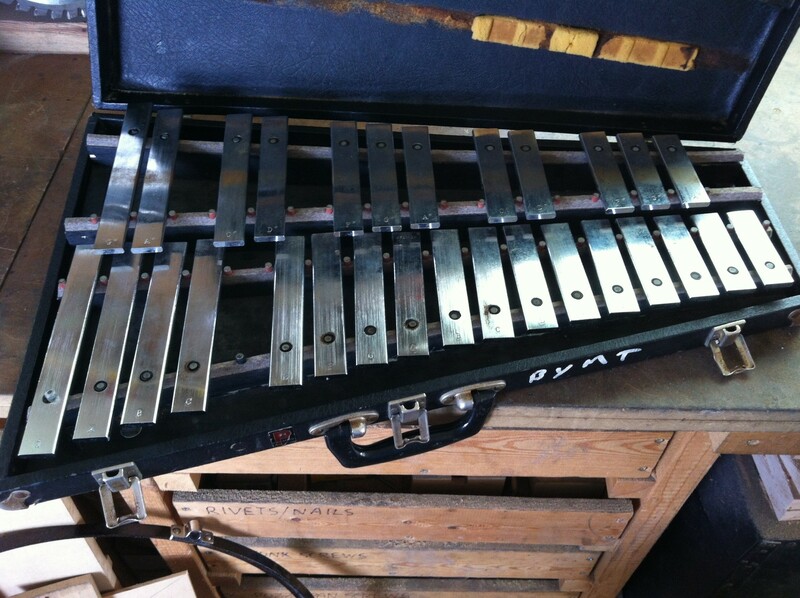 As for value, again depends on the market, condition of the instrument, etc but £200-£300 would be my guess, they are nice glocks, but there are nicer instruments available and bargains can be found – they are simply not as rare as vibraphones for instance.